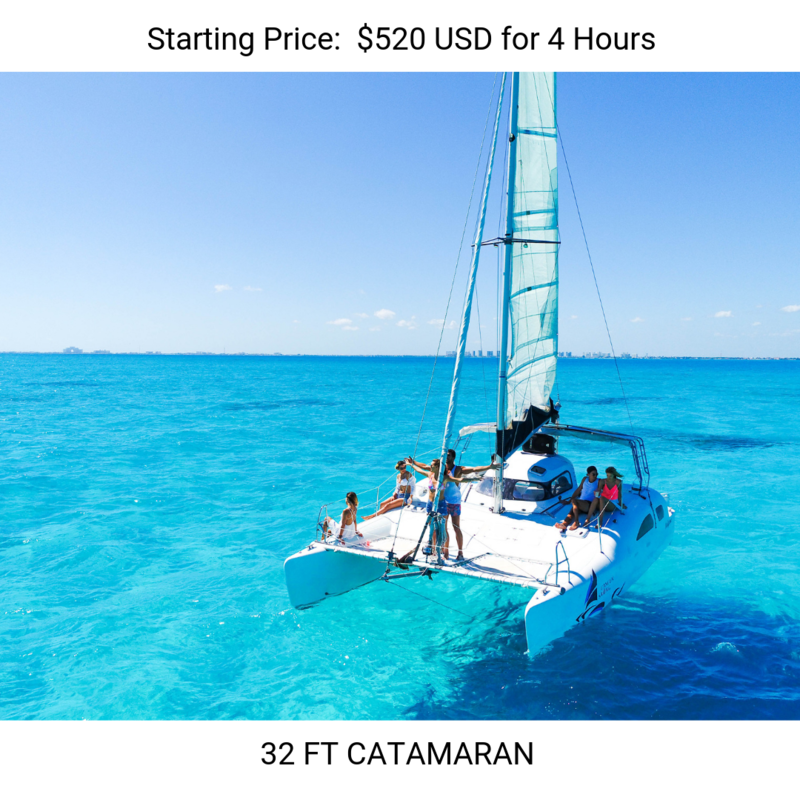 These beautiful catamarans are available for all inclusive day Cancun boat rental cruises. 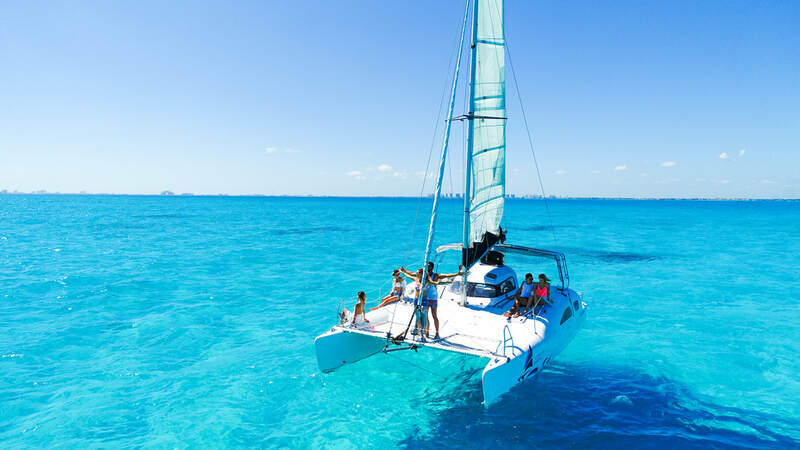 Enjoy a day sailing through the Mexican Caribbean aboard one of our All Inclusive Cancun boat rentals. 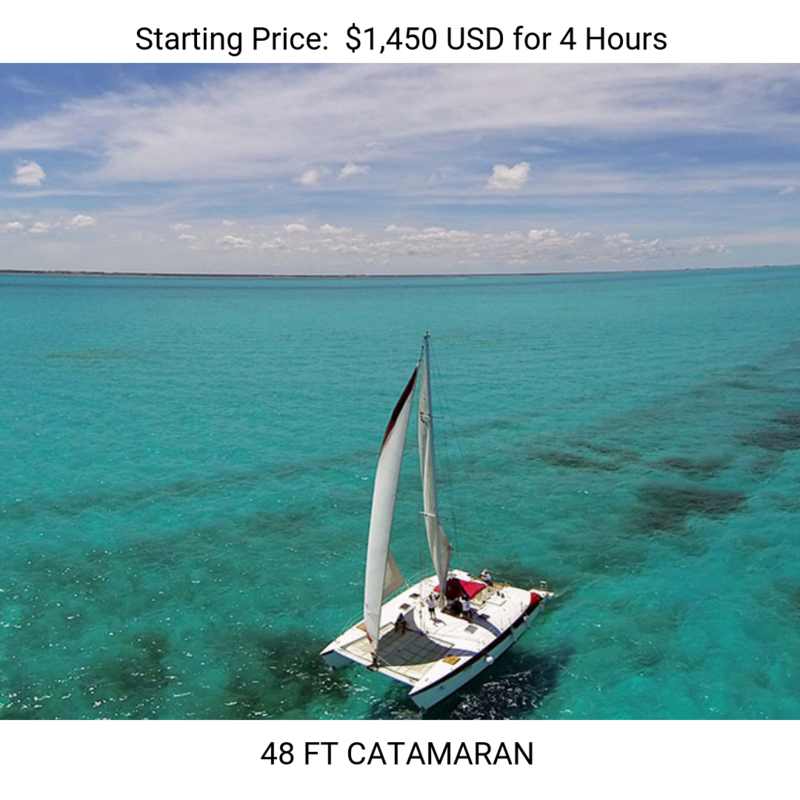 We have many Cancun Catamarans to choose from. 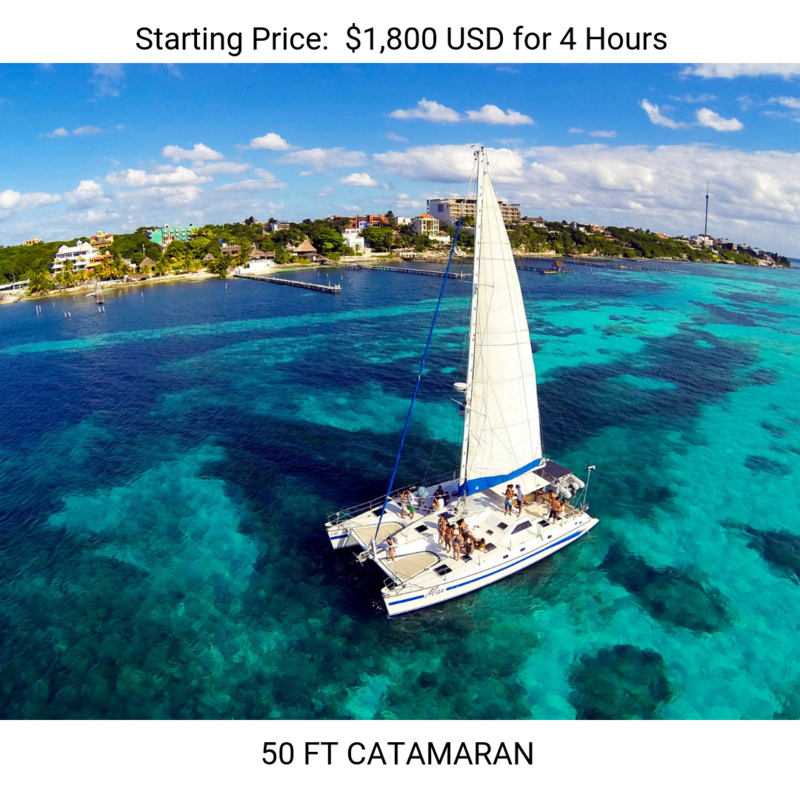 We have day cruise trips to Isla Mujeres for snoreling or just sailing on the bay. 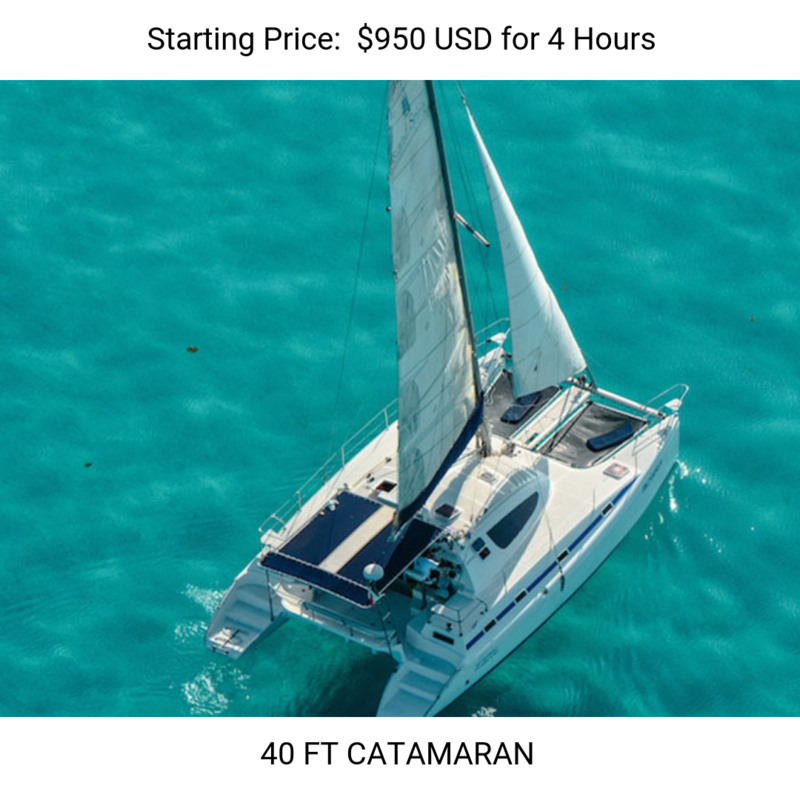 Our Cancun Catamarans include snorkeling gear and open bar for a perfect day on the water. 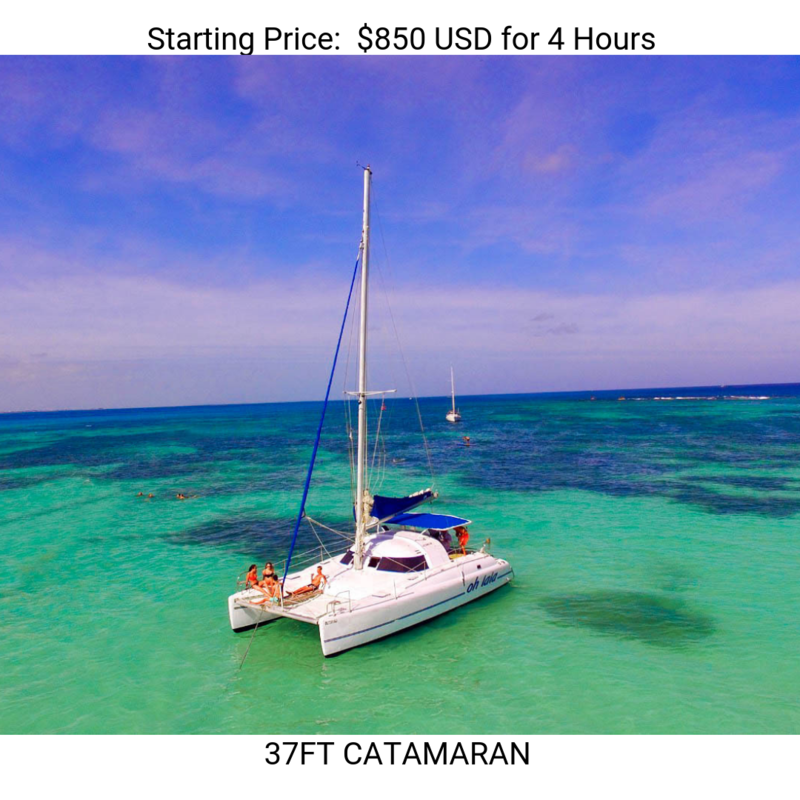 With Vip Cancun - Cancun Catamaran you can discover the natural beauty of the great reefs and the array of the multi color fish. 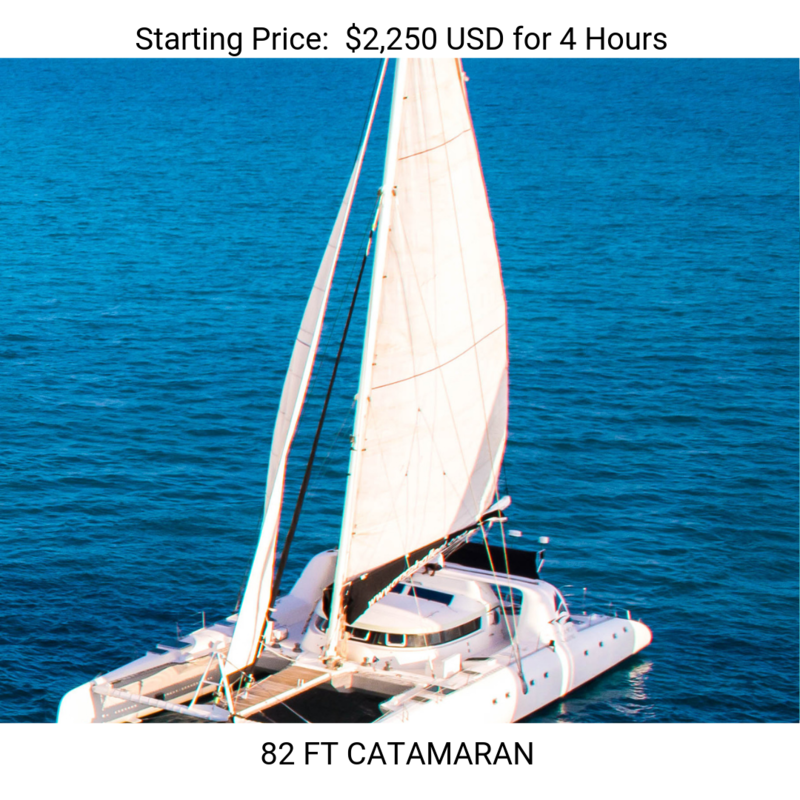 Our team will take great care of you to help create an unforgettable day! 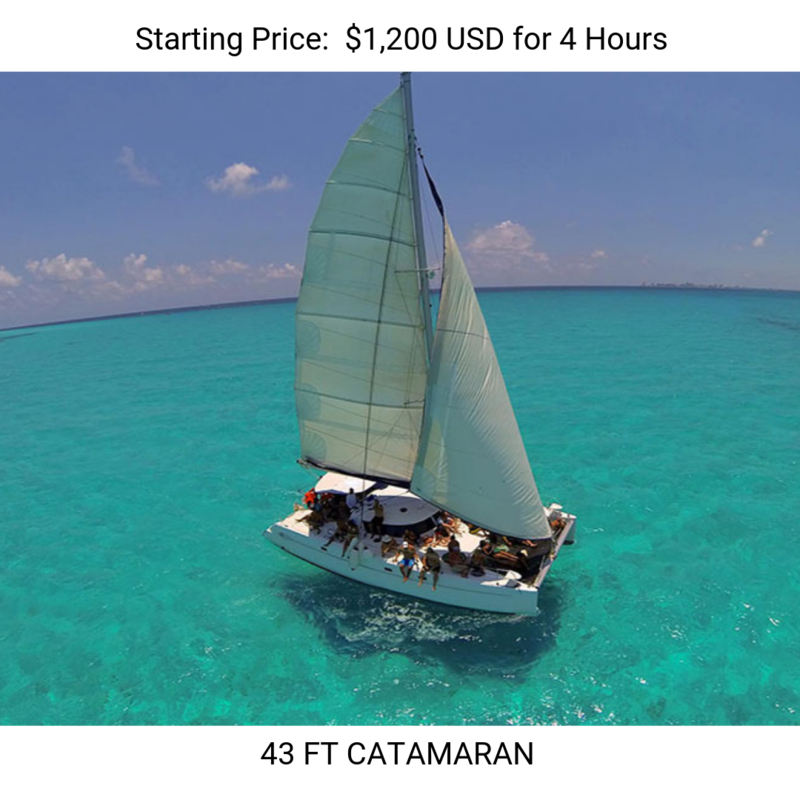 This level and range of services makes us the very finest among yacht rentals in Cancun and surrounding area.